A slightly quieter day today. The highlights passing Long Nab this morning were 2 Dark-bellied Brent Geese and 2 more Brent Geese of uncertain species, a Velvet Scoter, 57 Eiders, a Red-breasted Merganser, 4 Goosanders, 2 Great Northern Divers and 13 Little Gulls. A Whimbrel and a Snow Bunting remained in the area. There were also 9 Little Gulls feeding in Cornelian Bay. 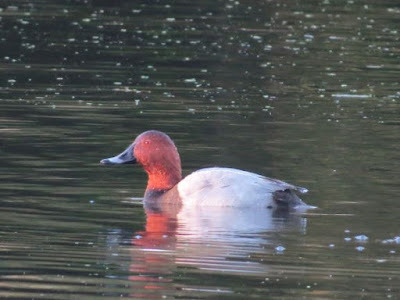 A Blackcap was seen in Falsgrave Park and a Shelduck on Harwood Dale Lake.